So this is my first recipe of 2017! 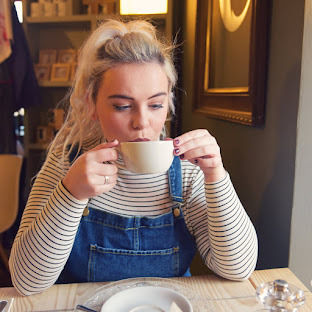 I hope you all had a wonderful festive period and I know some of you might be in detox mode at the moment, but everyone still deserves a treat now and again! 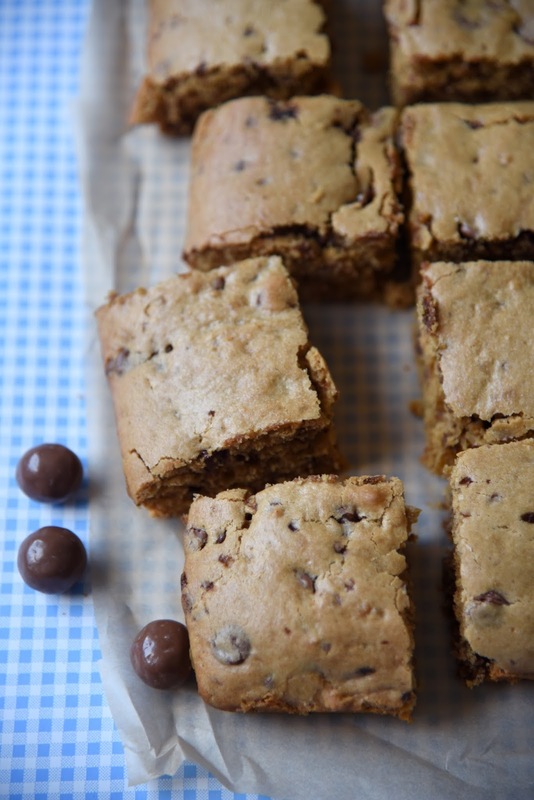 If you're looking for something super tasty and easy to make on a weekend or when you're having some down time, these choc chip malt blondies are perfect! 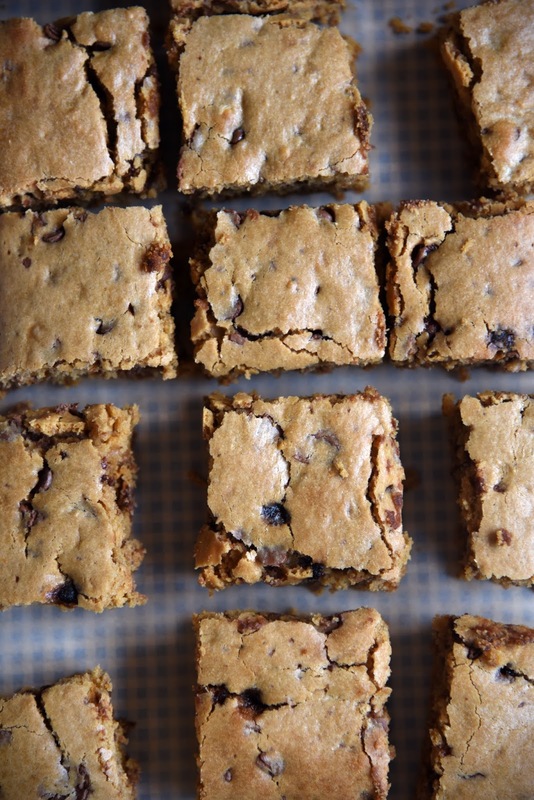 These blondies are super crisp on the top but really soft and gooey in the middle, perfect! They're really really easy to make, you can knock them up in no time, this recipe makes 15 small squares or you could cut them bigger! 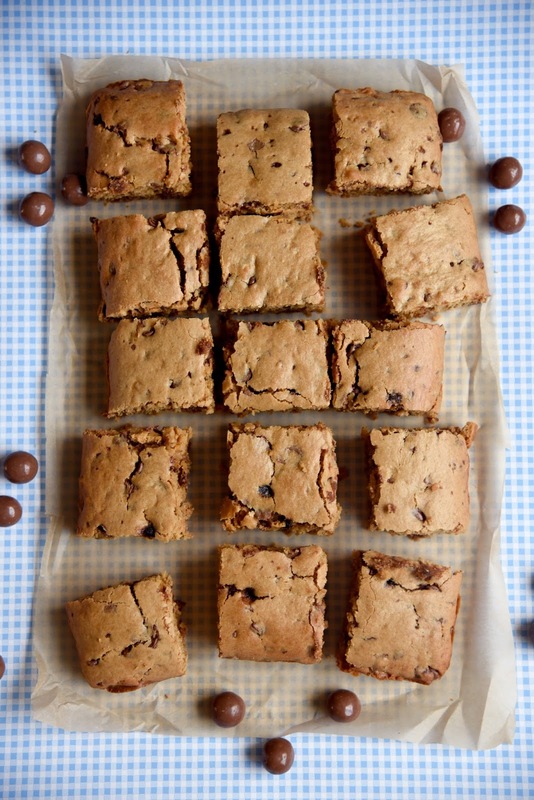 The malt in this recipe gives them such a lovely flavour! 1. Preheat the oven to 180 degrees C/Gas Mark 4. Grease and line a 9x13" baking tin. 2. In a medium bowl whisk the flour, baking powder, salt and malted milk powder together, set aside. 3. In a separate medium bowl, beat the butter and sugar together until light and fluffy, add the eggs and vanilla and beat until combined. 4. Add the flour mixture to the wet mixture in two batches and fold in. Add in the malteasers and chocolate chips and mix until combined. 5. Spread the mixture into the baking pan and even out with a spatula. Bake in the oven for 25-30 minutes, until cracked and golden on the top but still soft in the middle. 6. Allow to cool for 10 minutes in the tin then turn out onto a wire rack to cool fully, cut into squares. Also can be served warm with ice cream!